Sure you want be physically fit and healthy, but finding time for a thoroughly effective cardiovascular workout is just plain difficult with your schedule. Besides, you can always get back in shape once you have enough space for a full-size elliptical machine or treadmill. Sound familiar? It's time to leave excuses behind along with any oversized clothing those excuses have earned you. 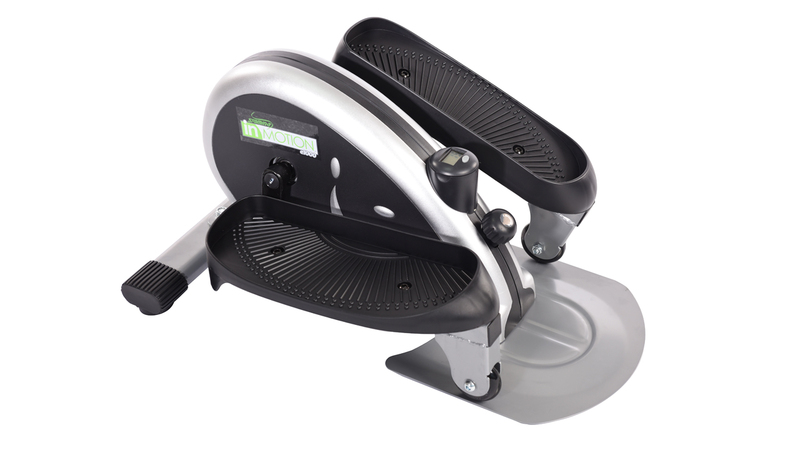 The Stamina® InMotion® E1000 Compact Strider eliminates any •reason• to procrastinate about the health of your body and mind. 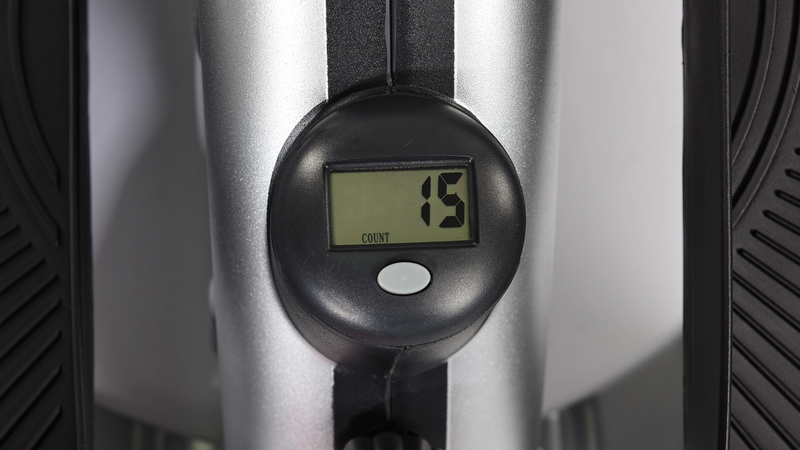 The incredibly compact, portable, and affordable elliptical lets you conveniently work up a healthy sweat nearly anywhere, anytime. 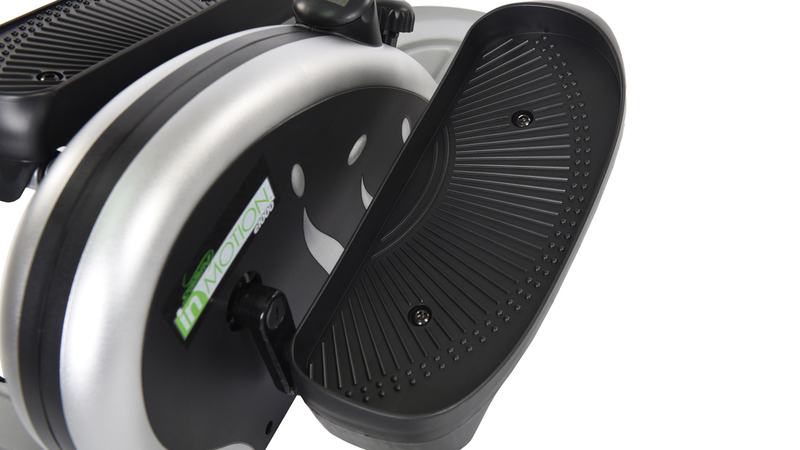 The Stamina® InMotion® E1000 Compact Strider is designed for easy portability and complete convenience. It's compact and lightweight enough to take anywhere, so you can fit your cardio workout into your daily schedule with no problem. 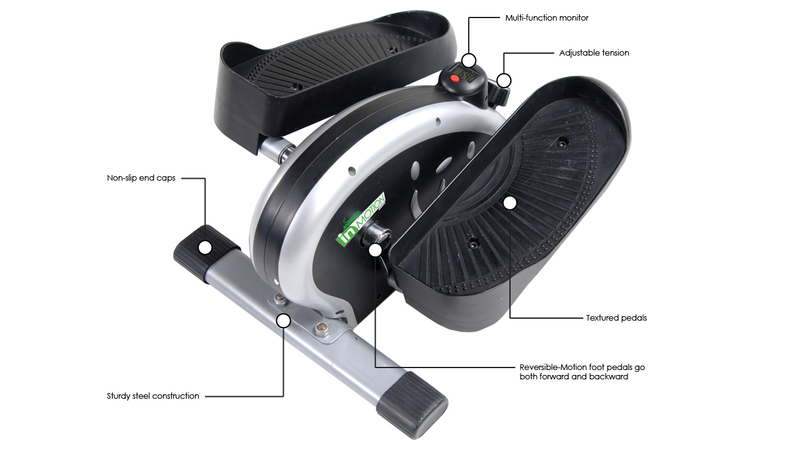 With non-slip pedals that hold your feet in place without a second thought, you can enjoy the low-impact, joint-friendly exercise while your mind is focused on work. Further your progress with free online access to two video workouts with purchase. 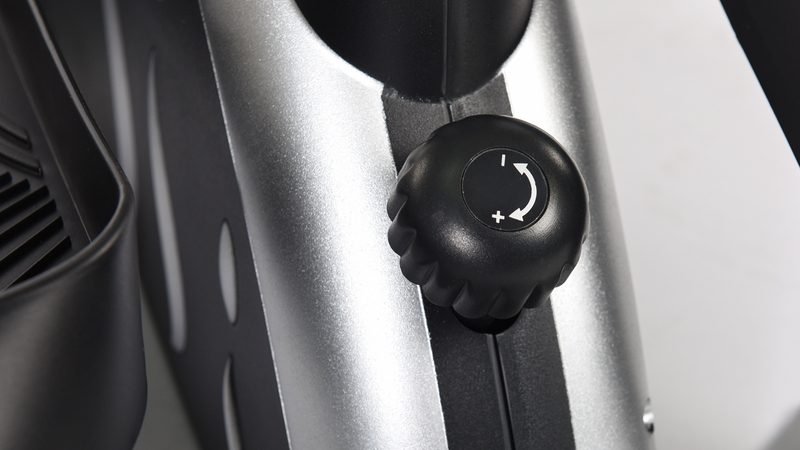 Use the E1000 Compact Strider at home or at the office, and when you're finished, you can store it out of sight and out of the way - under your desk or in the closet. Minimal space required: 23.5" x 17"
Recommended use: For cardiovascular and lower body workout. Portable. Stamina Products Inc. warrants our products to be free from defects in materials and workmanship at the time of the original purchase from an authorized retailer. In the event that a product becomes defective, please contact us by phone at 1-800-375-7520 or send written notification to the address listed on the Contact Us page of this website. If the defect is under the limited warranty, you may be requested to return the product or part to us for repair or replacement. Stamina Products Inc. reserves the right to require the customer to pay for the return shipping of the item. To confirm your rights as described in the warranty statement, be sure to complete the Product Registration Card and mail it to us promptly or register on-line. Customer Service Live Chat is unavailable at this time.